These magazines both must be VERY rare, because there sure isn’t very much information on them, or pictures of them. . . . . or are you just happy to see me? The first 100rd dbl stack was from Cheaper than dirt. If memory stands correct, they were cheaply built as a display novelty, and would split if filled. I am not saying that you are no right about a Cheaper Than Dirt knock-off or novelty version of the 100 rd mag because they have offered various junk over the years. 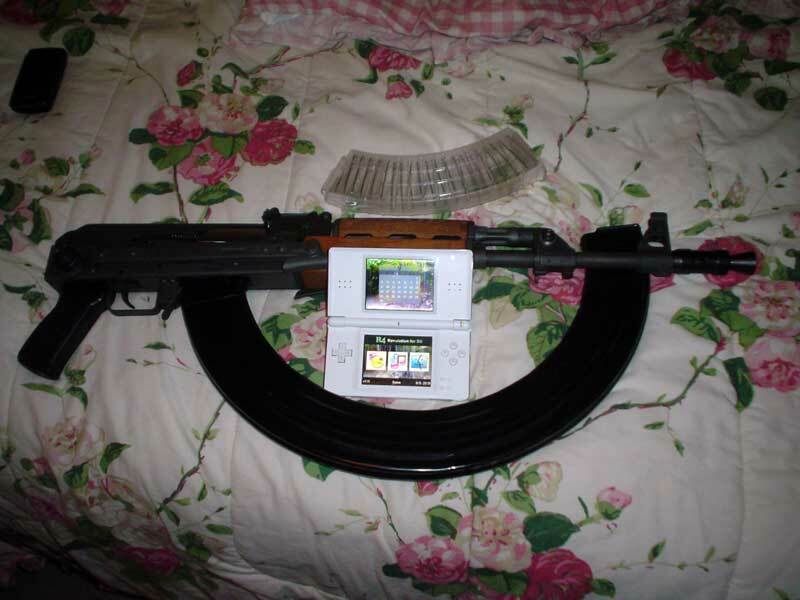 However there really is a military version of that 100 rd magazine. 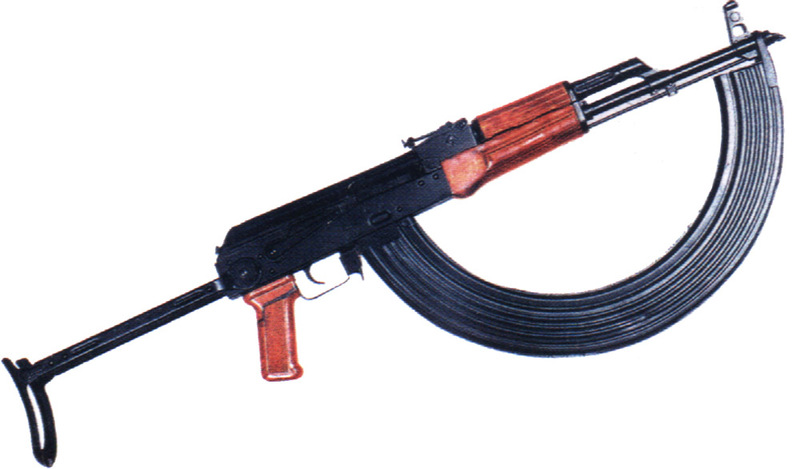 This mag was originally intended for the 7.62X39 MM RPK but instead was reconsidered and eventually made for the AKMS. 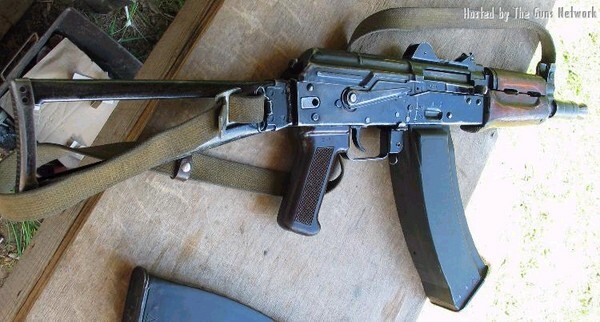 This magazine is officially referred to as the Soviet Type 7 magazine and as far as the 2 halves thing goes there is some truth to it but not as they usually expect, the halves do not come apart, they are just manufactured in halves and then spot welded together. These mags were never issued on a widespread basis, they were only issued to airborne troops on a very limited basis, mainly to Spetsnaz troops. I have personally encountered only 1 of these magazines on my deployment to Afghanistan which was most likely a captured weapon from the prior Soviet invasion. I tried to bring the magazine home with me, my CO informed me that I could try but he didn’t think that it would make it past customs because of a Assault Rifle ban at the time. Needless to say customs didn’t let me bring it home. FYI there is also a small mention of this mag in the book Kalashnikov Rifles and Their Variations by Joe Poyer, the 3rd edition on page 48. So basically CTD might have offered a novelty version but there is most definitely a true military version of it that was issued to elite airborne troops on a limited basis. Now on side note, as a former member of the 82nd Airborne I could not imagine jumping with such a big and bulky item but then again the Soviets were known for some strange ideas that sounded good in theory until they were actually produced. I’d say that 100 round black bannana would be well impractical for war, look’s too weak, like it would bend around the mag housing. Cool for a one man army though. Could kill many hogs. That quad stack mag is awesome. Should be made military mainstream with a bullet’o’meter. I can’t see how the rounds at the top are staying in formation?? Any ideas? I think the main issue with those is weight and size. 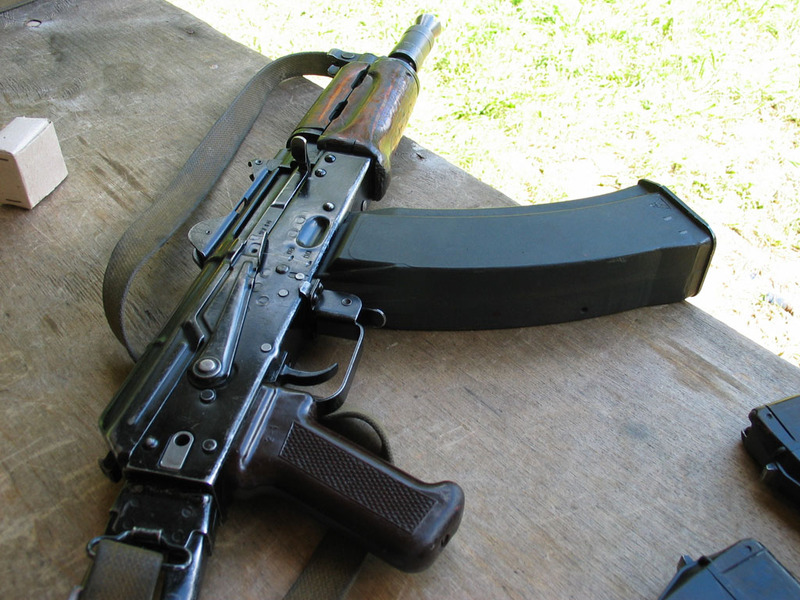 The magazine itself would not be too light even when it is empty, plus once you fill that with 100 rounds of 7.62 that is a LOT of weight. It would probably be interesting to shoot with on full auto because you would be lightening the load with every shot. It would probably require a lot of compensation to make sure your muzzle isn’t rising too high after squeezing off a number of rounds in rapid succession. Just had a brainwave. I can see it now. Cool! I prefer to make love not play with lethal D*** extensions. Celibacy and contraception seems a better way of population control….. than guns and without the gung ho brigade! 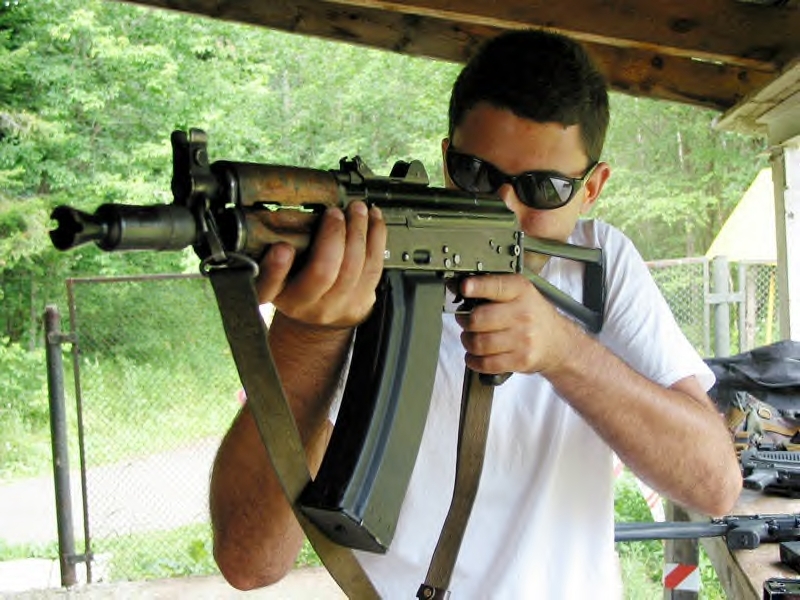 By the way… neither of the mags in the picture with the folding stock AK (Yugo M70AB) are 5.56x45mm. 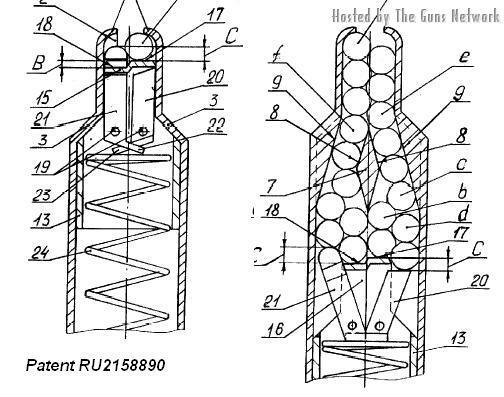 The 100-rounder isn’t longer than the top example, it’s just not in the magwell all the way. The clear mag also does not appear to be a 5.56mm either because of the degree of curve in the mag itself. Sh*t…! I’ve never seen such a thing! still 7.62? no 5.56 new? Looks like chauchat moved on to new frontiers sand made their own version if an AK. How long does it take to load a hundred round Mag?